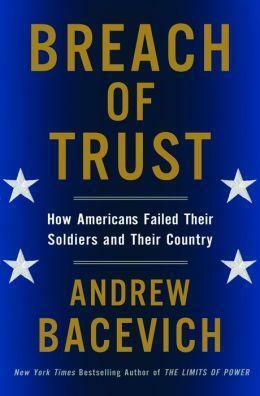 An enormous gap has opened between the all-volunteer U.S. military and the citizens of the country it serves, according to a new book by military analyst Andrew Bacevich, "Breach of Trust: How Americans Failed Their Soldiers and Their Country" (excerpt below). Bacevich, a Boston University professor and retired Army colonel whose son Andrew Bacevich, Jr. was killed in Iraq in 2007, traces the separation to Vietnam, a war he served in. Bacevich argues that the gap has created a nation that has an abiding appetite for war waged by an Army that's not capable of achieving victory. 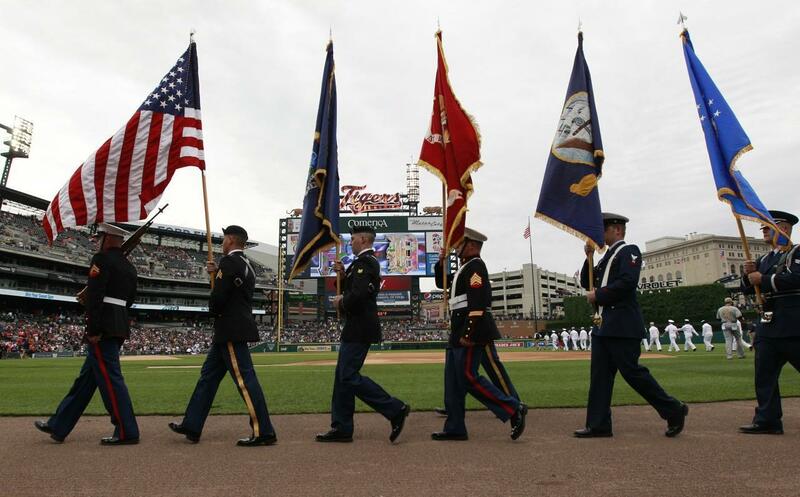 "As Americans forfeit personal direct responsibility for contributing to the country's defense — abandoning the tradition of the citizen soldier — then the state gains ownership of the military," Bacevich told Here & Now. "The army becomes Washington's army, not our army. And Washington has demonstrated a penchant for using the army recklessly." He adds that as the number of people engaged in war gets smaller, the federal government contracts out to private companies, which don't have to abide by the rules of waging war ethically. "Military professionals provide something unique, special and necessary to the conduct of war," Bacevich said. "Now you don't need to do that. You can just sort of farm out these responsibilities to people who are looking to turn a buck." Bacevich argues not for a draft or mandatory military service, but some kind of national service. "To revive the tradition of the citizen soldier can become — maybe I'm being too optimistic here — but can become the vehicle, in a sense, for reviving a more robust sense of what it means to be a citizen," Bacevich said. War is an unvarnished evil. Yet as with other evils—fires that clear out forest undergrowth, floods that replenish soil nutrients—war’s legacy can include elements that may partially compensate (or at least appear to compensate) for the havoc inflicted and incurred. For the United States, the Civil War offered one such occasion. To preserve the Union and destroy slavery, Americans served and sacrificed without stint. The citizen-soldiers who responded to the charge contained in the “Battle Hymn of the Republic”—“As He died to make men holy, let us die to make men free”—won a great victory. In doing so, they set the stage for the nation’s emergence in the latter part of the nineteenth century as the world’s preeminent economic power. Out of blood came muscle. World War II proved to be a second such occasion for acquiring muscle, if not for other powers at least for the United States. Yet by 1941, in return for service and sacrifice, Americans expected rewards more tangible than the satisfaction of doing God’s will. Once again, citizen-soldiers would fight for freedom. Thanks to the New Deal, however, freedom meant something more than submission to market forces. It now implied some measure of reciprocity, with citizens guaranteed access to the minimum essentials of life. In describing what was at stake in World War II, President Franklin D. Roosevelt called this “freedom from want.”1 Making freedom thus defined available to the average American was by now becoming the job of political authorities in Washington. So in their approach to justifying war against the Axis, Roosevelt and his lieutenants shrewdly emphasized a shimmering consumer-oriented vision of democratic purpose. To a greater extent than any prior conflict, mobilizing for World War II became an indisputably communal undertaking, involving quite literally everyone. So, too, did the war’s actual conduct. As a result, the historian William O’Neill writes, the United States fought World War II as a “people’s war.” Rather than “uphold[ing] personal gratification as the be all and end all of life,” Americans demonstrated a hitherto hidden capacity for government-prescribed collective action.2 The appetite for personal gratification did not disappear. Yet at least for the duration Americans proved willing to curb it. In this regard, the cultural moment was propitious. For a short time, the distance separating elite, middlebrow, and popular artistic expression seemed to collapse. Proletarian impulses released by the Great Depression persisted into the war years, infused now with a sense of hope that the promise of American life might indeed find fulfillment—and soon. Yearning and expectation gradually displaced the anger and despair that had characterized the 1930s. On symphony stages, this popular mood found expression in works like Aaron Copland’s Fanfare for the Common Man (1942) and Appalachian Spring (1944). On Broadway, there was Oklahoma! (1943) by Richard Rodgers and Oscar Hammerstein. (“We know we belong to the land, and the land we belong to is grand!”) At the movies, Oscar-nominated films such as Mr. Smith Goes to Washington (1939), Our Town (1940), The Grapes of Wrath (1940), and Sergeant York (1941) all mined the rich vein of populism. In photography these tendencies suffused the social realism of Dorothea Lange and Walker Evans. In painting, American regionalists such as Thomas Hart Benton, Grant Wood, and John Steuart Curry paid homage to ordinary workers while expressing nostalgia for small-town and rural America. In a war-specific context, there was the memorable work of the cartoonist Bill Mauldin, creator of the “dogface” soldiers Willie and Joe. Elitism had not disappeared from the American scene, but for a time it was thrown on the defensive. At least as important was this unspoken caveat: although achieving victory would require shared sacrifice, the president would seek to limit the pain and suffering that Americans would actually endure. The price of defeating the Axis promised to be high. Yet FDR intended, wherever possible, to offload that price onto others, while claiming for the United States the lion’s share of any benefits. For some (but not too much) pain, enormous gain—that describes the essence of U.S. grand strategy. To an astonishing degree, Roosevelt and his lieutenants made good on both elements of this formula. When it came to raising an army, therefore, inclusiveness became a defining precept. Rather than relying on volunteers, the United States implemented a system of conscription similar to the one devised for World War I. The draft took black and white, rich and poor, the famous and the obscure, Ivy Leaguers and high school dropouts. In order to field a force that peaked at twelve million serving members, the armed services inducted just about anyone meeting their mental and physical prerequisites. The sons of leading politicians like President Roosevelt served, as did the sons of multimillionaires like Joseph P. Kennedy. Hollywood idols Douglas Fairbanks Jr., Henry Fonda, Clark Gable, Tyrone Power, and James Stewart found themselves in uniform. So, too, did A-list movie directors Frank Capra, John Ford, John Huston, George Stevens, and William Wyler; baseball stars Ted Williams, Joe DiMaggio, and Hank Greenberg; and boxing greats Joe Louis and Gene Tunney. In other words, the United States waged World War II with a citizen army that reflected the reigning precepts of American democracy (not least of all in its adherence to Jim Crow practices). Never again would U.S. forces reflect comparable diversity. Never again would they demonstrate comparable levels of overall effectiveness. Service exacted sacrifice. Patterson’s Axiom applied across the board. Among the four hundred thousand American lives claimed by World War II were nineteen players from the National Football League.5 Glenn Miller, America’s most popular bandleader, was killed while serving with the U.S. Army Air Forces. Harvard University contributed its share. Inscribed on one wall of the university’s Memorial Church are the names of 453 Harvard men who died in World War II—just 35 fewer than the total number of West Pointers lost.6 Harvard’s dead included four members of the university faculty and the nation’s commander in chief (class of 1904). Such mundane aspirations did not imply a grant of authority allowing Roosevelt to expend American lives with abandon. Indeed, for FDR to assume otherwise would have placed his bargain with the American people at risk. Fortunately, circumstances did not require that the president do so. More fortunately still, he and his advisers understood that. The outcome of World War II turned, above all, on two factors: in Europe, the prowess and durability of the Red Army; in the Pacific, the weakness and vulnerability of the Japanese economy. To hit the perfect strategic sweet spot—winning big without losing too much—required the United States to exploit both of these factors. This Roosevelt ably succeeded in doing. Success entailed making the most of America’s comparative advantage in the production of war-essential matériel. Whatever the category—coal, oil, steel, foodstuffs, or finished goods like ships, tanks, and aircraft—no other belligerent could match the United States in productive capacity. Moreover, the American “arsenal of democracy”—difficult to attack and impossible to conquer—lay beyond the effective reach of Axis forces.11 Not long after Pearl Harbor, the army chief of staff, General George C. Marshall, announced, “We are determined before the sun sets on this terrible struggle that our flag will be recognized throughout the world as a symbol of freedom on the one hand and of overwhelming power on the other.”12 Tapping that arsenal for all it was worth held the key to fulfilling Marshall’s vision, which was also Roosevelt’s. The essential task was to expedite the conversion of U.S. economic might into Allied killing capacity. On that score, in the eyes of America’s senior war managers, Soviet fighting power represented an asset of incalculable value. In Washington, Winston Churchill’s speeches about the common heritage of the “English-speaking peoples,” however inspiring, mattered less than did the Red Army’s manifest ability to absorb and inflict punishment. “A democracy,” Marshall later remarked, “cannot fight a Seven Years War.”13 When it came to waging total war, totalitarian dictatorships did not labor under comparable limitations. The people of the Soviet Union would fight as long as their supreme leader, Joseph Stalin, obliged them to do so. Getting the Russians to shoulder the burden of defeating America’s most dangerous adversary promised both to ensure support for the war effort on the home front and to position the United States to become victory’s principal beneficiary. “The American people will not countenance a long war of attrition,” the Pentagon’s Joint War Plans Committee had warned in 1943.15 A long war of attrition fought by the Soviet Union was altogether another matter, however. For Washington, providing Stalin with whatever the Soviet Union needed to stay in the fight (while easing any doubts the Soviet dictator might entertain about America’s commitment to the cause) constituted not only a strategic priority but also a domestic political imperative. To appreciate the implications of this arrangement—the Soviets doing most of the fighting while drawing freely on the endless bounty of American farms and factories—consider casualty statistics. At just above four hundred thousand, U.S. military deaths for the period 1941–45 were hardly trivial. Yet compared to the losses suffered by the other major belligerents, the United States emerged from the war largely unscathed. Estimates of Soviet battle losses, for example, range between eleven and thirteen million.16 Add civilian deaths—ten million or more in the Soviet Union, a mere handful in the United States—and the disparity becomes that much greater. To ascribe this to the fortunes of war is to deny Roosevelt credit that is rightly his. The U.S. approach to waging war against the Japanese empire offered a variation on the same theme. With opportunities for outsourcing that war less available (and less desired), the United States shouldered the principal responsibility for defeating a Japan that was as resource poor as the United States was resource rich. When it came to industrial capacity, Japan was a comparative pygmy, its economy approximately one-tenth as large as the American leviathan. In 1941, Japan accounted for 3.5 percent of global manufacturing output, the United States 32.5 percent. At the outset of hostilities, Japan was producing 5.8 million tons of steel and 53.7 million tons of coal annually. For the United States, the comparable figures were 28.8 million and 354.5 million.17 As the war progressed, this gap only widened. The submarines that decimated Japan’s merchant fleet and the bombers incinerating its cities brought the economy to its knees. “In any week of her war with Germany between June 1941 and May 1945,” writes the historian H. P. Willmott, succinctly expressing the genius of U.S. grand strategy, “the Soviet Union lost more dead than the total American fatalities in the Pacific war.”18 Many factors account for that disproportion, but among them were calculated choices made by FDR and his principal advisers: give the Russians whatever they needed to kill and be killed fighting Germans; engage the Wehrmacht directly in large-scale ground combat only after it had been badly weakened; and fight the Japanese on terms that played to American advantages, expending matériel on a vast scale in order to husband lives. “Our standard of living in peace,” General Marshall had declared in September 1939, “is in reality the criterion of our ability to kill and destroy in war,” adding that “present-day warfare is simply mass killing and mass destruction by means of machines resulting from mass production.”19 The unspoken corollary was this: the mass production of machines to wage war could enhance the American standard of living in the peace to follow. A preference for expending machines rather than men could—and did—produce strikingly positive effects on the home front. More remarkable still, the benefits of this suddenly restored prosperity were broadly distributed. To be sure, the rich became richer, with the wartime pretax income of the top quintile of earners increasing by 55.7 percent. Yet the nonrich also benefited and disproportionately so. Families in the lowest quintile saw their incomes grow by 111.5 percent, in the second lowest by 116 percent.21 Between 1939 and 1944, the share of wealth held by the richest 5 percent of Americans actually fell, from 23.7 percent to 16.8 percent.22 The war that exhausted other belligerents and left untold millions in want around the world found Americans becoming not only wealthier but also more equal. None of this is to imply that World War II was a “good war,” either on the fighting fronts or at home. If anything, the war stoked deep-seated prejudices and provided an outlet for modern-day pathologies. Race riots rocked major American cities. Bitter strikes paralyzed critical industries. Prostitution flourished. Unwanted pregnancies and sexually transmitted diseases proliferated. Social dislocation produced increases in juvenile delinquency. To this day, the mass incarceration of Japanese Americans remains a deeply embarrassing stain on President Roosevelt’s record. Yet if not good, Roosevelt’s war was surely successful. If the essential objective of statecraft is to increase relative power, thereby enhancing a nation-state’s ability to provide for the well-being of its citizens, then U.S. policy during World War II qualifies as nothing less than brilliant. Through cunning and foresight, he and his lieutenants secured for the United States a position of global preeminence while insulating the American people from the worst consequences of the worst war in history. If World War II did not deliver something for nothing, it did produce abundant rewards for much less than might have been expected. Furthermore, the collaboration forged between government and governed yielded more than victory abroad. At home, it dramatically enhanced the standing of the former while reinvigorating the latter. The Great Depression had undermined the legitimacy of the American political system, prompting doubts about the viability of democratic capitalism. World War II restored that lost legitimacy with interest. As a people, Americans emerged from the war reassured that prosperity was indeed their birthright and eager to cash in on all that a fully restored American dream promised. Thanks to FDR’s masterly handling of strategy, those gains came at a decidedly affordable price. War waged by the people had produced battlefield success and much more besides.Excerpted from the book BREACH OF TRUST by Andrew Bacevich. Copyright © 2013 by Andrew Bacevich. Reprinted with permission of American Empire Project. 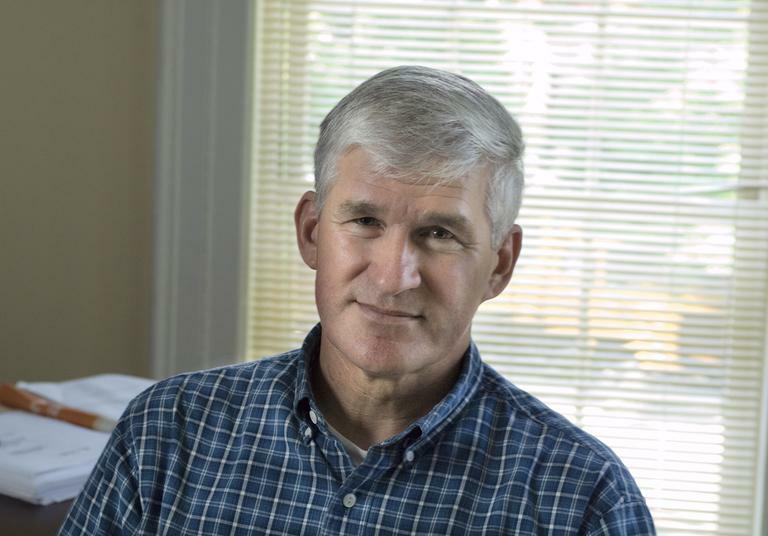 Andrew Bacevich, retired Army colonel and chair of the Department of International Relations at Boston University, where he is also a professor. His new book is "Breach of Trust." This segment aired on September 2, 2013.